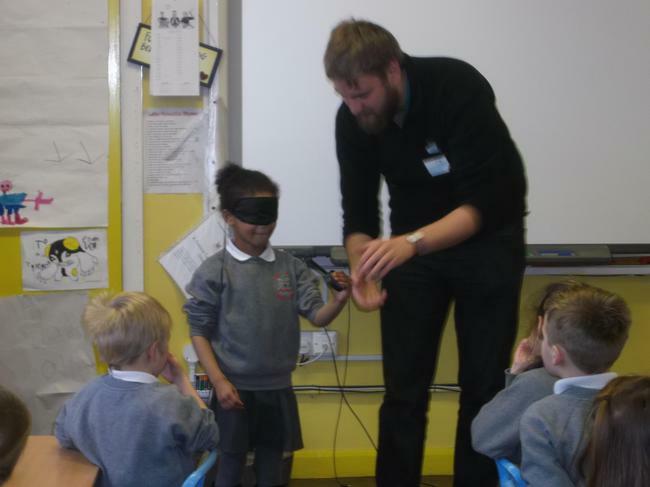 We had a visitor from the 'Field Studies Council' to talk to us about our sesnes. 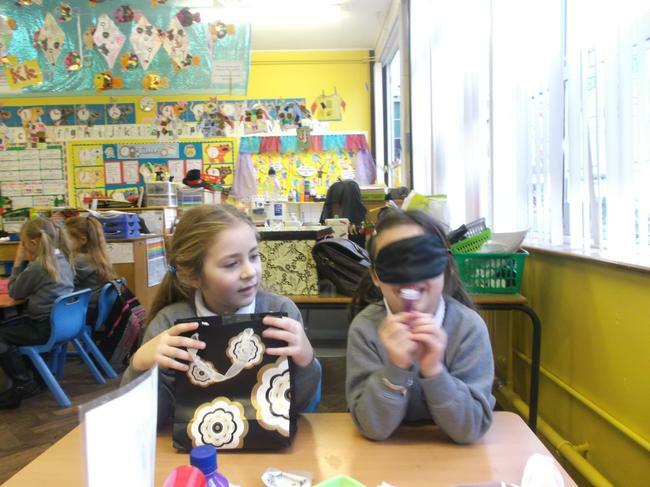 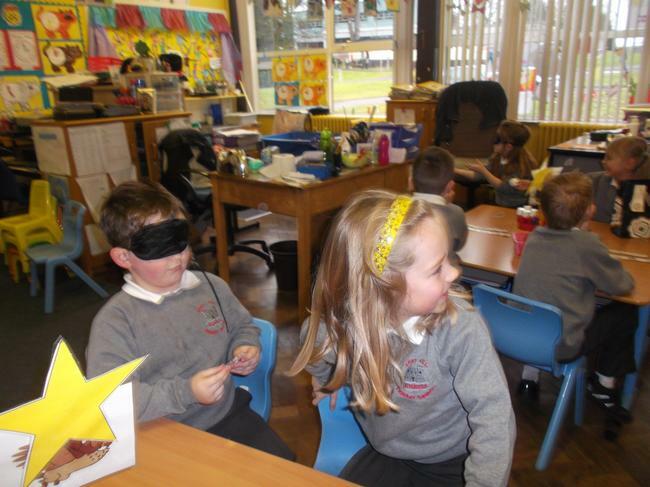 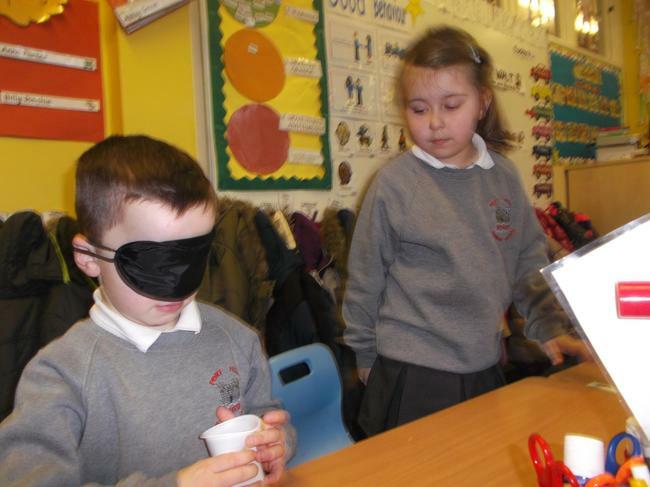 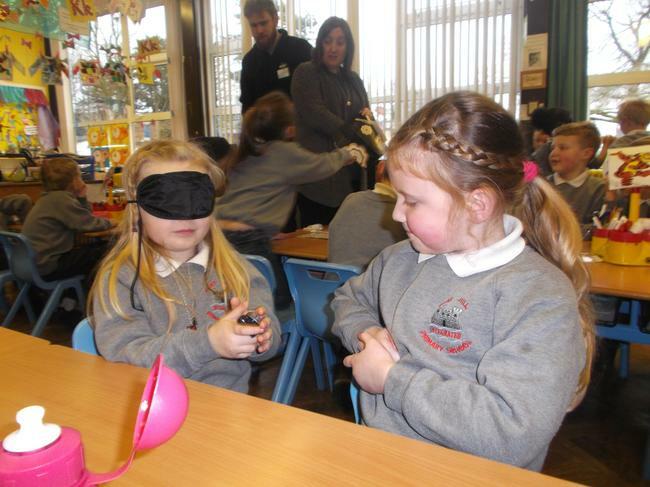 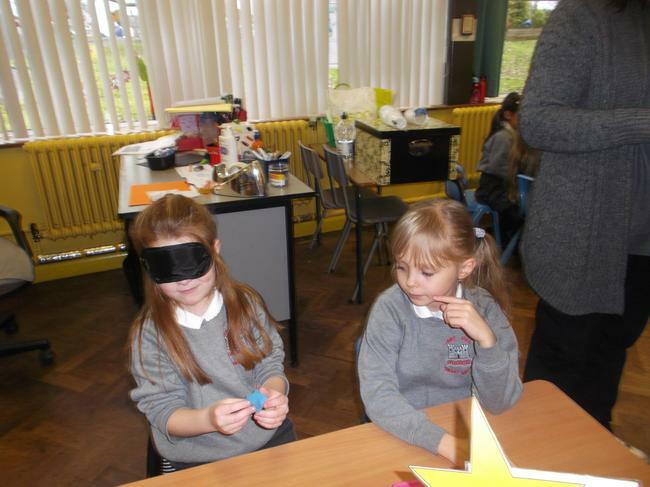 Using the sense of touch we had to wear a blindfold and guess what was in the bag. 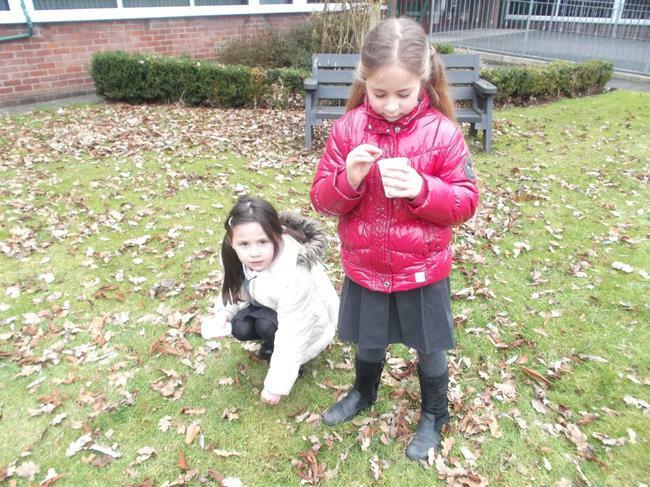 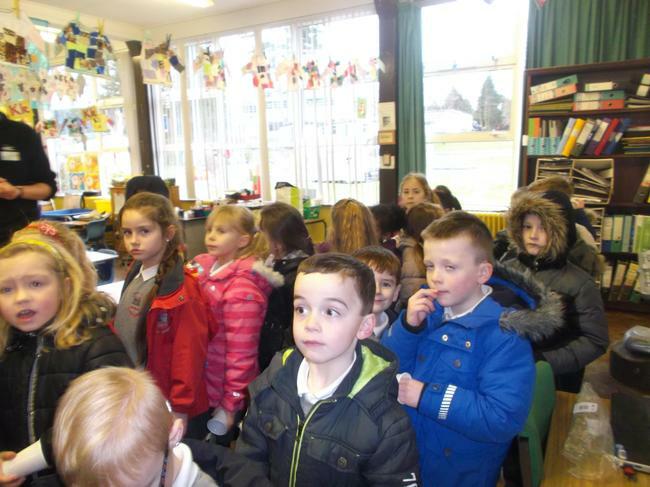 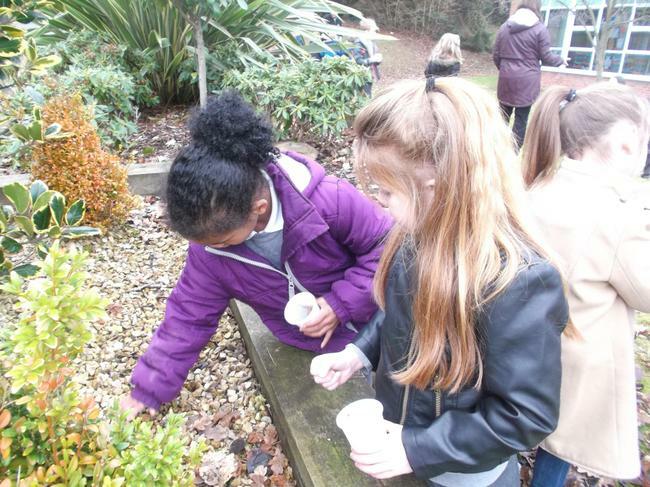 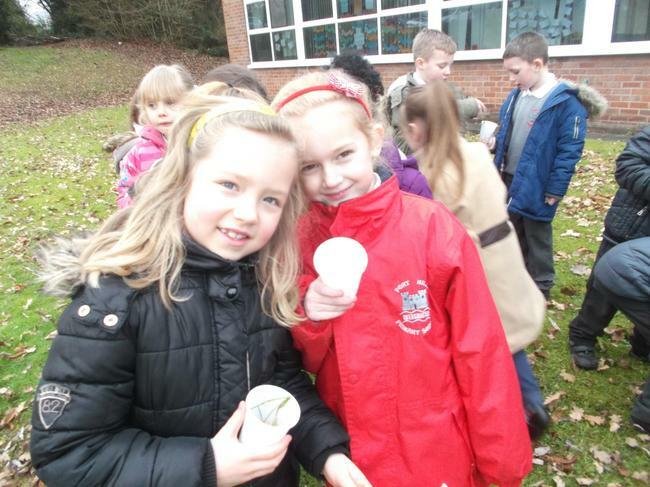 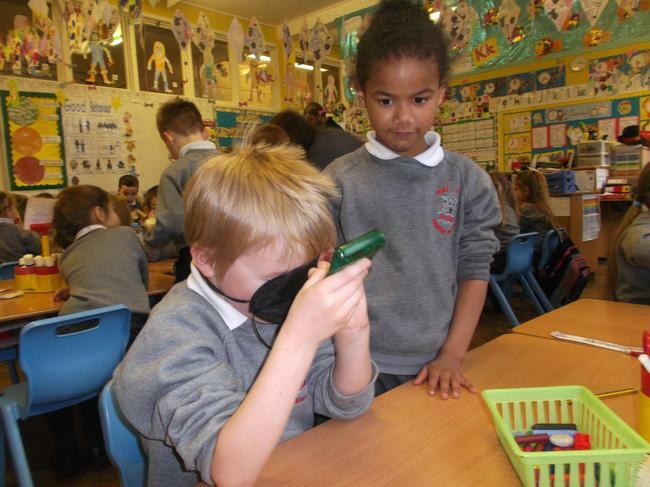 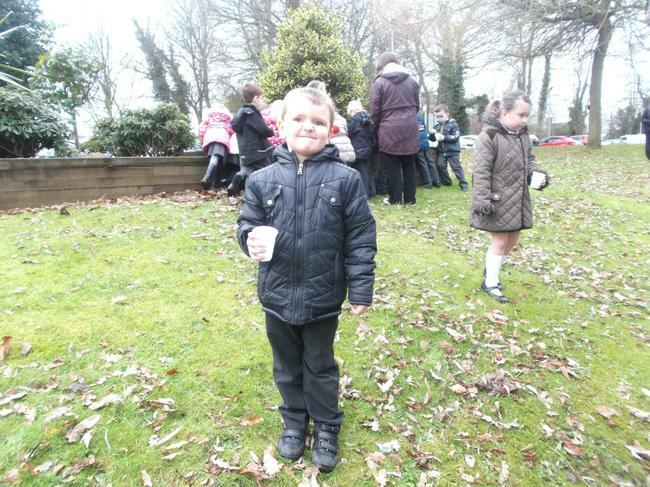 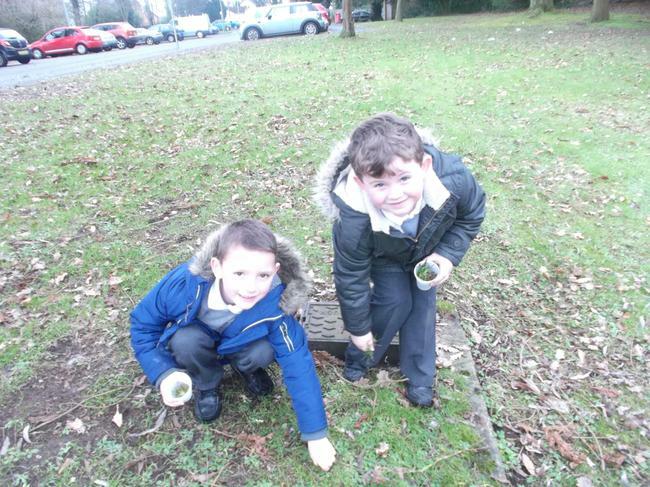 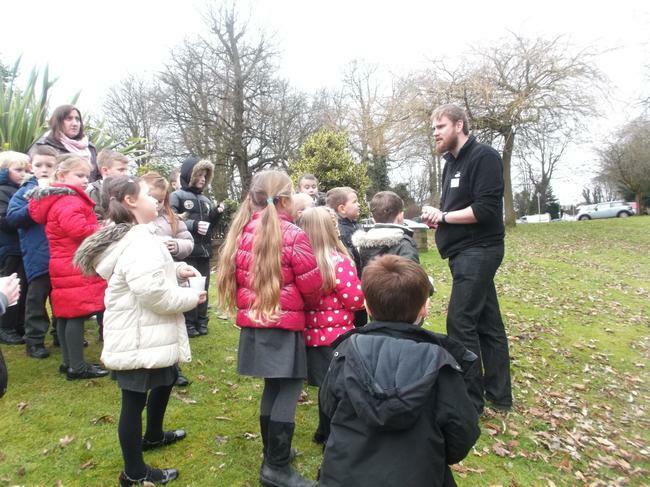 We then put on our coats and went outside to explore all the different textures we could feel. 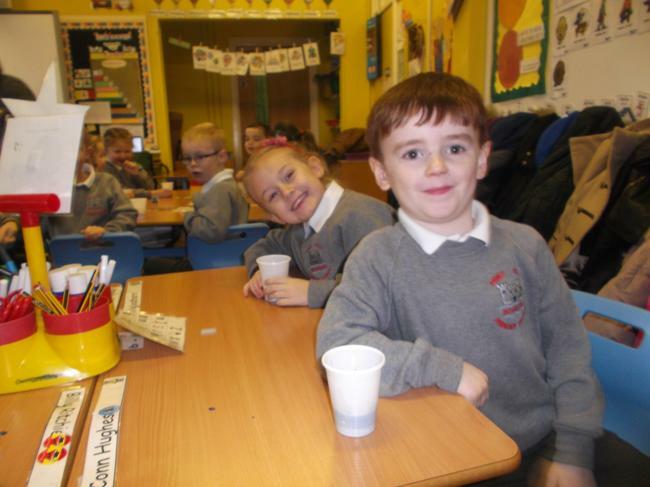 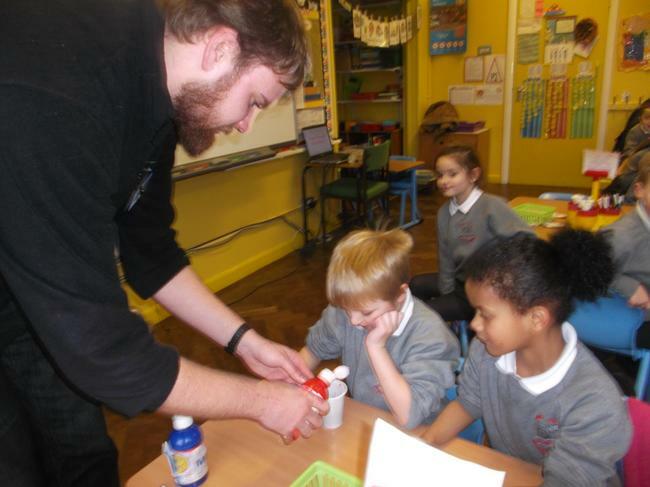 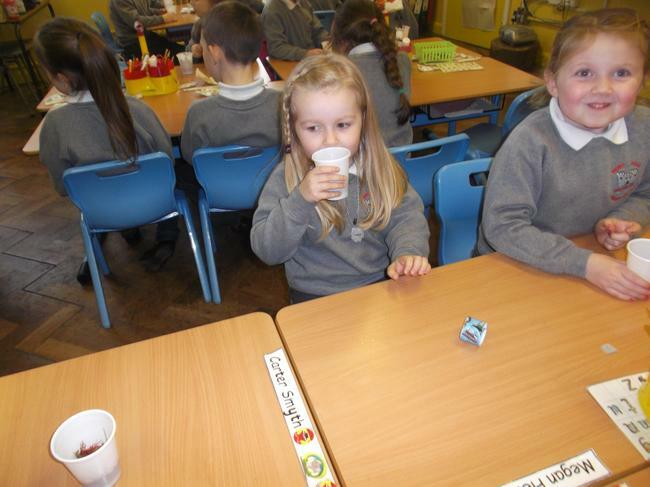 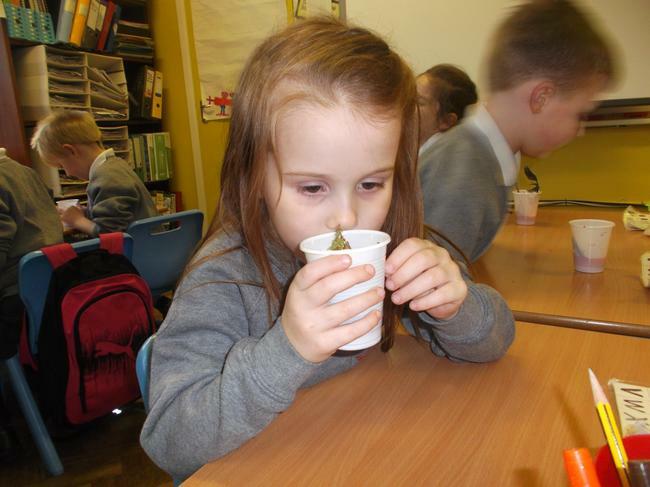 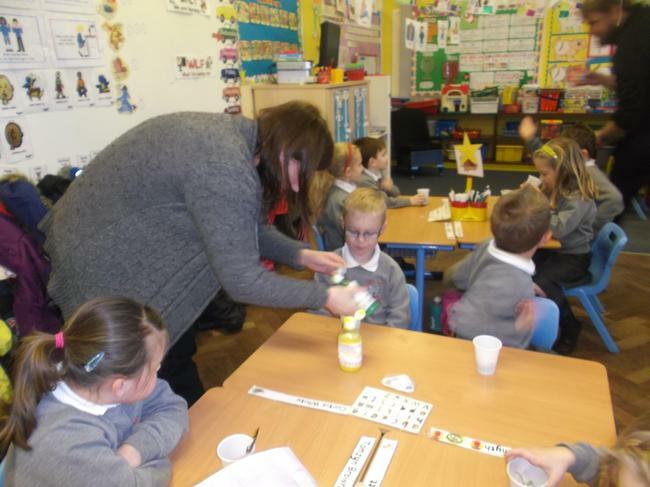 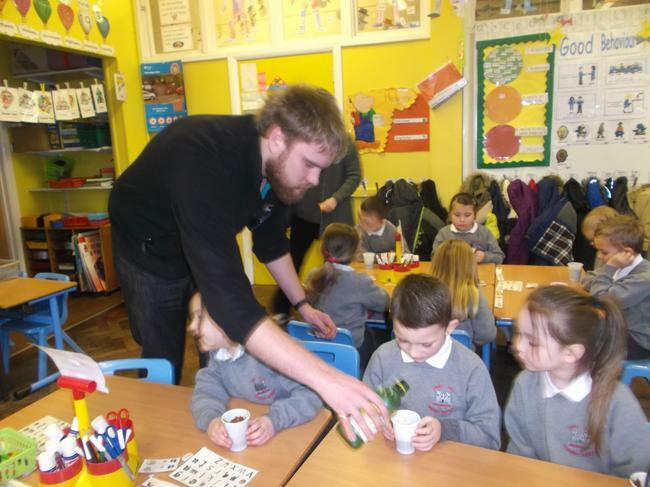 We each filled a cup with different items we found and came back into class to make a magic potion.